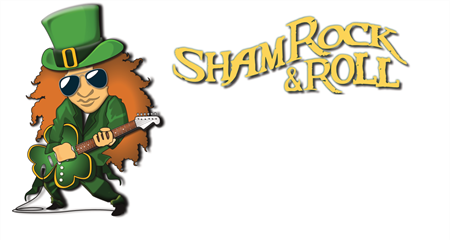 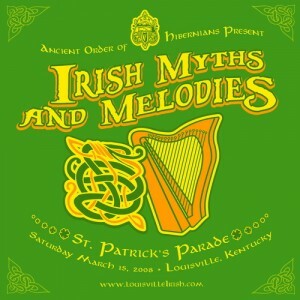 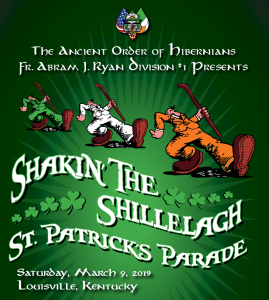 Revelers line Bardstown RoadThe 2019 AOH St. Patrick’s Parade theme will be Shakin’ The Shillelagh! 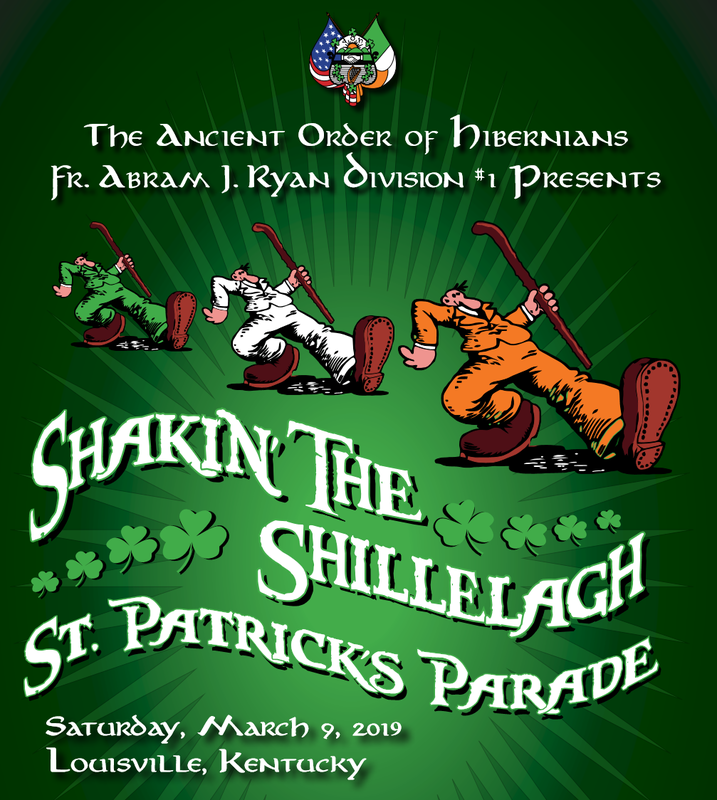 The 2019 Parade will be held Saturday, March 9th, 2019 with a 3PM kick-off to Spring and the St. Patrick’s Day Season. 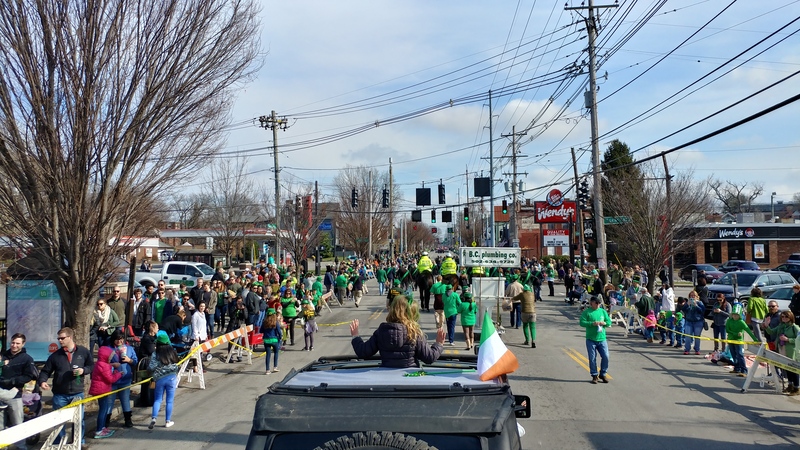 As many as 150 units are expected again for this year’s parade that will step-off at 3 p.m. at Baxter and Broadway proceeding along the Baxter/Bardstown Road corridor. Often called the “people’s” parade, families join a mix of decorated vehicles and groups along the route. 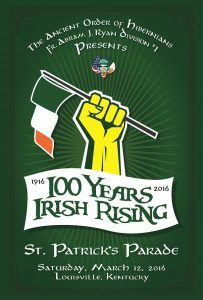 As many as 100,000+ people watched or marched in last year’s parade. The 2019 Parade Application can be downloaded here. 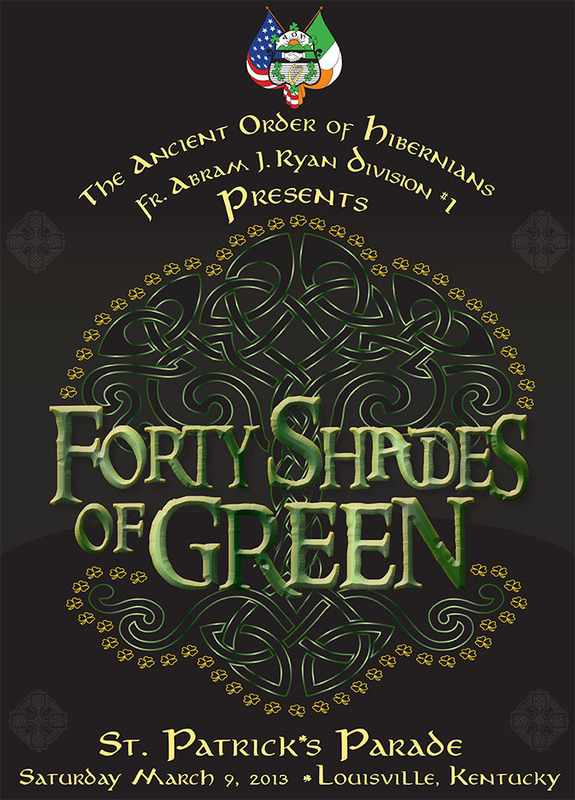 New this year, it also includes the Rules & Regulations. 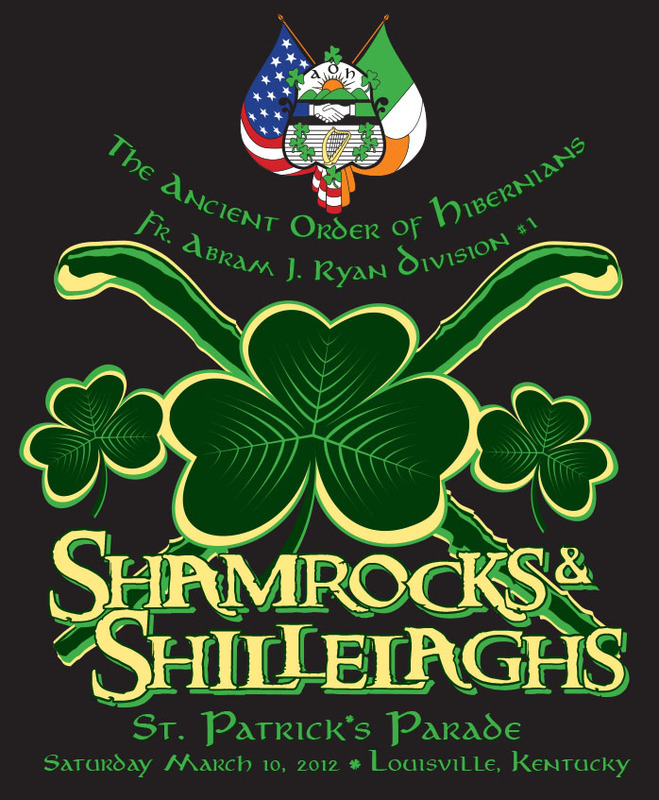 Parade shirts can be purchased at our online store by clicking HERE. 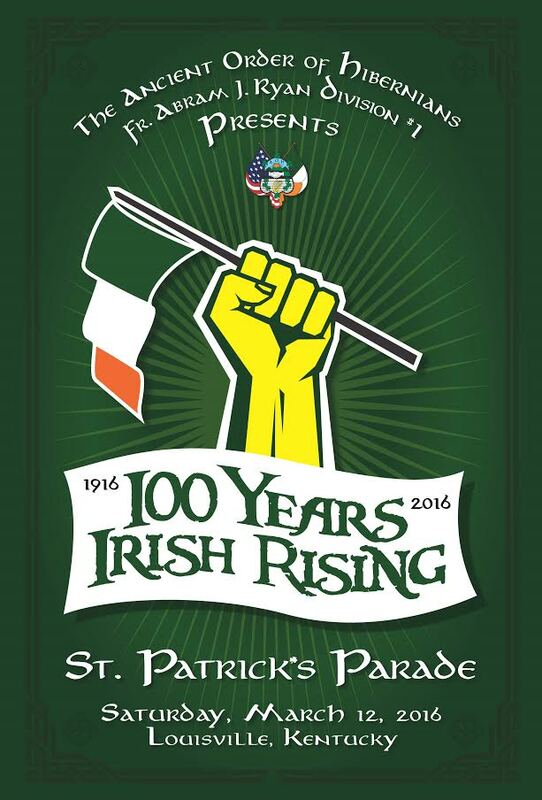 Stay up to date by following us on our Parade Facebook Page for parade specific information and announcements. 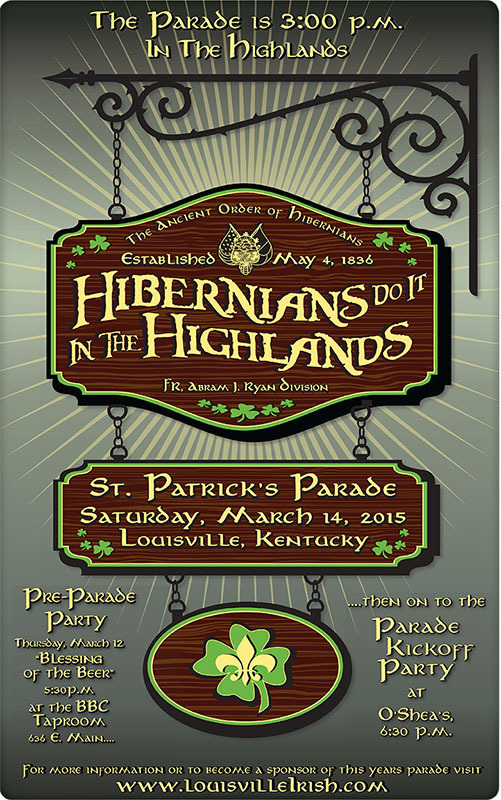 To keep up to date with ALL of our events, consider joining us on our local AOH Facebook page. 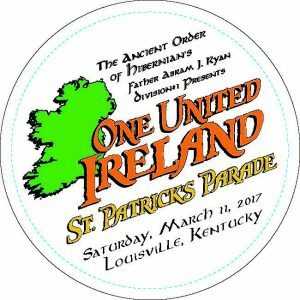 The Grand Marshal will be the Irish Person of the Year who was selected by AOH officers and members. 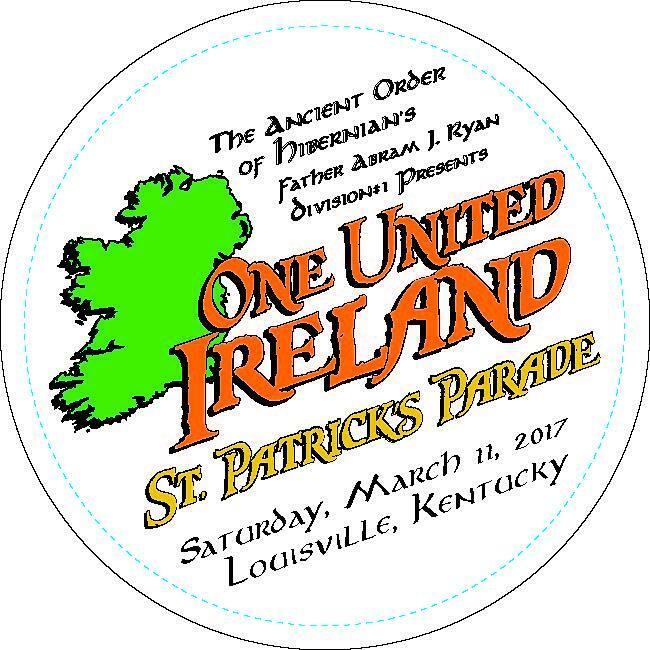 Each year, the Louisville Hibernians put together, with the wonderful help of all of our “Irish” friends, the greatest parade of ALL TIME! 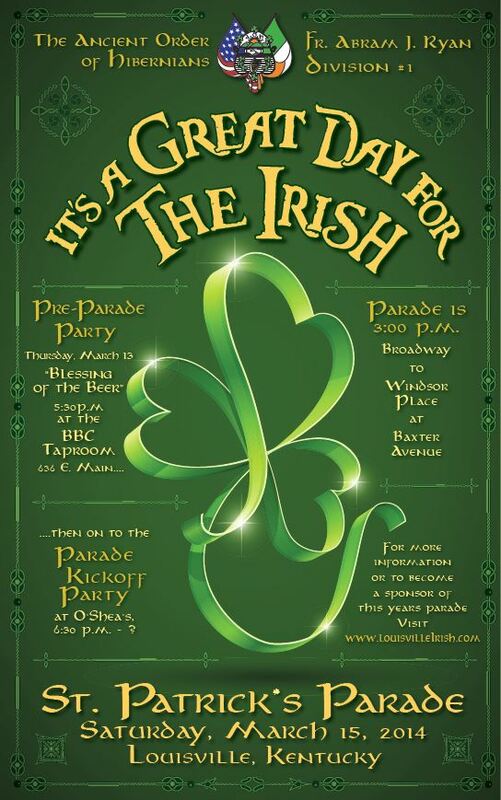 We celebrate Annual Parade with a week of events open to all. 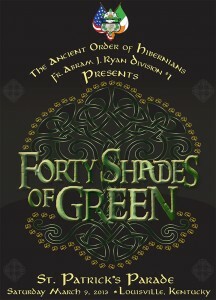 We had a wonderful time at The Wearing O’ the Green Party! 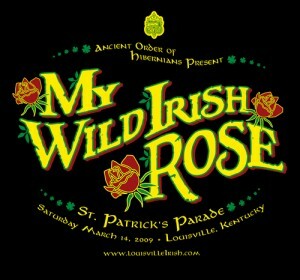 Hope to see you all back there next year! 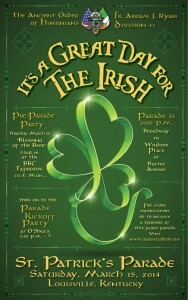 The parade festivities this week also included The Blessing of the Beer and a Tapping of the Keg. 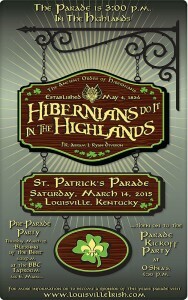 Special thanks to our sponsors – without them, this Parade Celebration would not be possible! 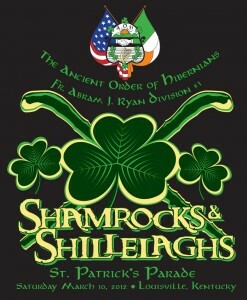 Please support them…so they can keep supporting our great community!